American Income’s Scott Rehberg with Danielle Gingrich, Heather Alessandro and Wendy Mockabee. 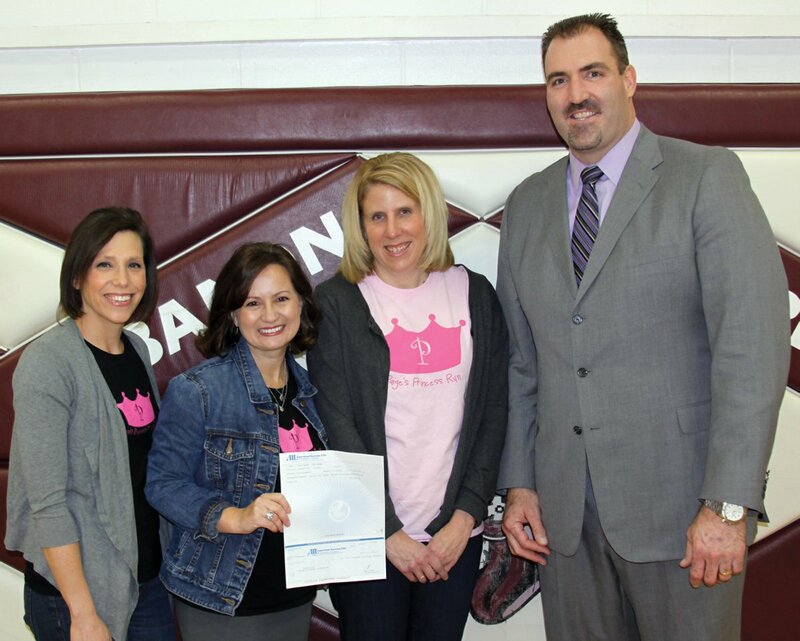 Paige’s Princess Foundation will be able to help many more families, thanks to a $5,000 gift from Waco, Texas-based American Income Life Insurance Co. The donation, part of the company’s “Closer to the Heart” program of charitable giving, was presented to Heather Alessandro, president of the foundation, by AIL State general agent Scott Rehberg. Paige’s Princess was founded in memory of Paige Alessandro, who passed away at age 6 from a vascular disorder. The nonprofit provides small grants to Greater Cincinnati pediatric patients with lifelong disabilities. The foundation considers applications related to any disorder or diagnosis resulting in the disability of a child. Grants are made to finance adaptive equipment or therapeutic services to enhance the quality of life, mobility and independent function when insurance and other sources don’t cover the cost.